Red Rubber Inspirationals has posted their weekly challenge yesterday and today I got a bit of time to play. I did have to make a 2nd card as I didn't make my first card meet the challenge. I got so wrapped up in my first card that I totally forgot what I was supposed to do! I had a good giggle and started over. 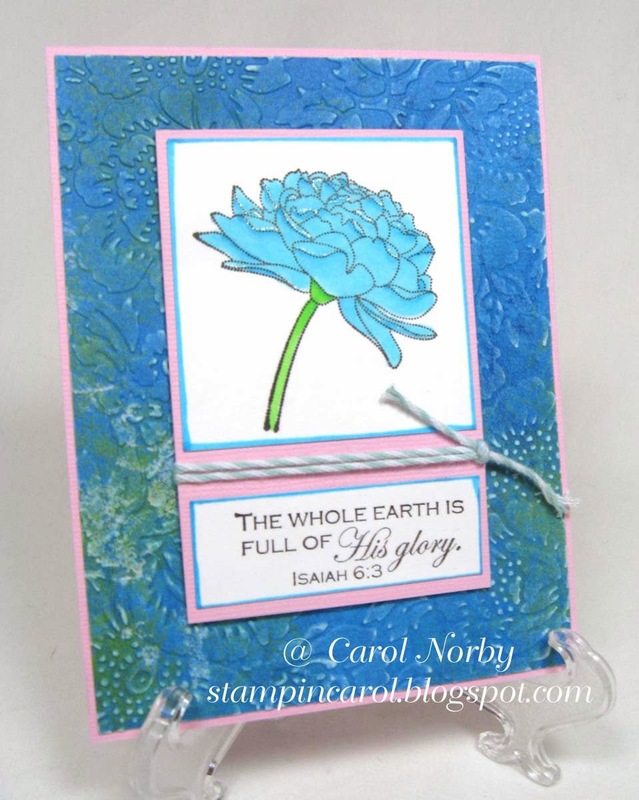 Here's the card that meets the challenge of using at least 2 different inks on my card. 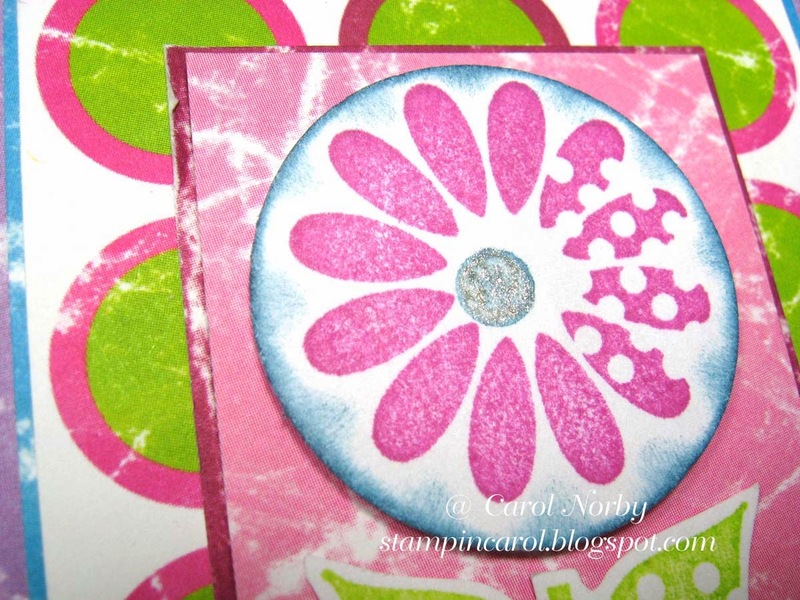 I used a stamp set by Red Rubber Designs called Dotty Flowers and 3 different inks. The paper is called Pop Rockz. I think this card developed because I just purchased a new embossing folder called Poppy. 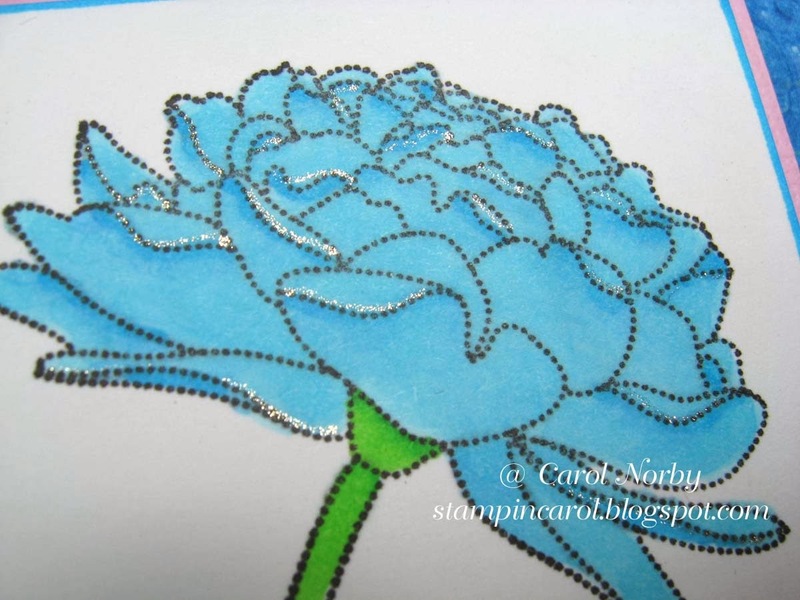 The stamp set was purchased from The Angel Co. way back when and it's called Dotted Peony. I colored with Copic markers then added some bling with the Stardust Clear Gel pen. So now pop on over to Red Rubber Inspirationals and check out the inspiration projects and the challenges! I love the poppy card, beautiful card and the perfect sentiment. 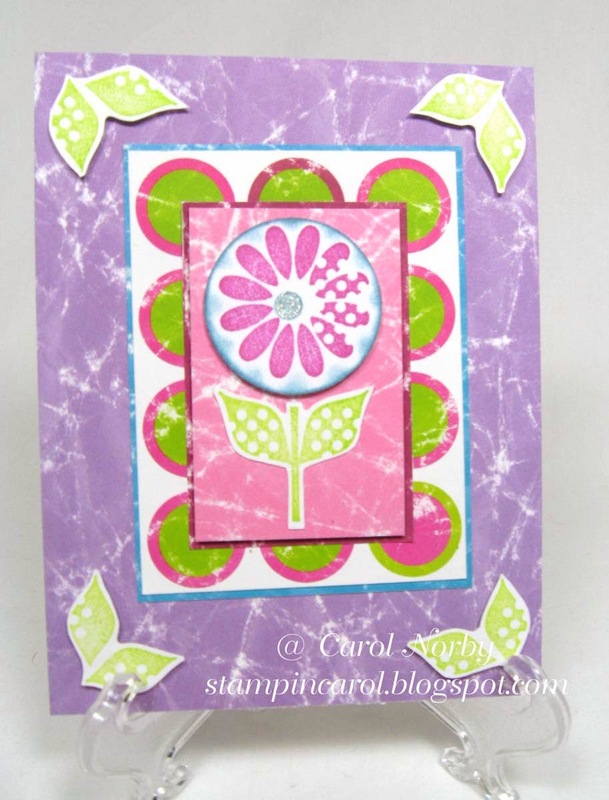 You did fabulous stamping and coloring on both cards! !Thanks for joining in my inspirational #108! Both are lovely!!! Especially love the fun colors of the first card!!! Thanks for joining us at Red Rubber Inspirationals! Lovely cards, Carol! So fun to see your creations on Red Rubber Inspirationals. Wow, two very different but very kewl cards.